The MTV Africa Music Awards (known as the MAMAs) is an annual music awards ceremony established in 2008 by MTV Networks Africa to celebrate the most popular music on the continent, although nominees include both African and international artists. Originally African artists were awarded an MTV Europe Music Award voted by MTV Base Africa viewers for Best African artist in the 2006 and 2007 MTV Europe Music Awards. Conceived as the ultimate celebration of African contemporary music talent, the MTV Africa Music Awards provide a promotional platform for the burgeoning African music industry. The awards champion, support and empower African talent by broadcasting their music around the world via MTV's global multimedia network. First staged on 22 November, 2008 in Abuja, Nigeria at The Velodrome, the MTV Africa Music Awards has recognised the talent of musicians from across sub-Saharan Africa, rewarding iconic artists such as 2Face Idibia, Big Nuz, HHP, P-Square, Liquideep, D'Banj, Lira, Nameless, Wahu, Fally Ipupa, Cabo Snoop, Zebra & Giraffe, and many more. The awards are usually preceded by concerts dubbed "The Road To MAMAs" celebrating the musicians nominated for the awards. These concerts feature international and local nominees and take place in venues across Africa including Johannesburg, Nairobi, Kinshasa and Lagos. The awards focus on contemporary African and international genres loved by the MTV audience in sub-Saharan Africa including hip-hop, R&B, rock, Afro Pop, Afro Beat, kwaito, bongo flava, dancehall, soul and funk. * In an award category dedicated to the 'MeTV' digital generation, MTV Base introduced the My Video Award to salute music videos created for and by MTV viewers. The category gives armchair directors the opportunity of entering their work into the awards and sharing it with MTV viewers. 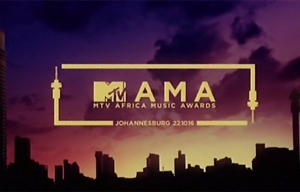 Viewers were invited to submit their own music videos (using a pre-approved song list), which were posted on the MAMAs website and voted on by readers of the website. The ceremony was held in 2008 in Abuja, in 2009 in Nairobi and in 2010 in Lagos. There was a two-year gap from 2011 to 2012 in which the ceremony was not held, due to a number of factors including an intense channel launch programme for MTV ZA and Comedy Central. In 2013 there was an MTV Africa All Stars ceremony instead (in Durban) and the franchise was reignited in 2014. It's happening on Tuesday, 17 October and plans are afoot for a celebration.